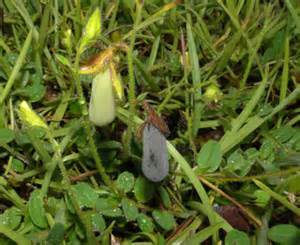 Crotalaria sagittalis is an annual herb to 40 cm tall, hairy. Leaves alternate, simple, to 8 cm long, 1.5 cm wide, linear to lance-shaped, hairy on both sides; stipules arrow-shaped, extending down stem from leaf base (Newcomb 1977). 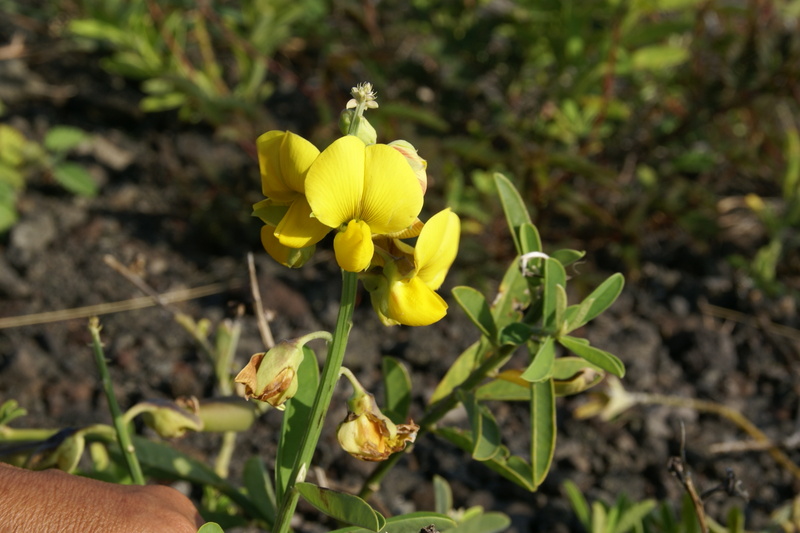 Flowers yellow to 1.2 cm, pea-flower-shaped, calyx hairy to 0.9 cm, in unbranched clusters of 2-4, in axils, June-Sept.
Fruit dry pods to 3 cm, oblong, inflated, black, rattling in wind. Frequency in NYC: Rare (NYS S1, E).